2014-06-05 June 5, the World Environment Day! June 5 is a World Environment Day , which is celebrated in many countries every year. On this very day, Greens Movement of Georgia implements various environmental activities. On June 5 of this year, under the auspices of the “Clean up Georgia" campaign, Greens Movement of Georgia / Friends of the Earth Georgia, initiated and organized " a clean up action, which took place at Vake Park, where together with the organizers participated some of the candidates for mayor of Tbilisi. 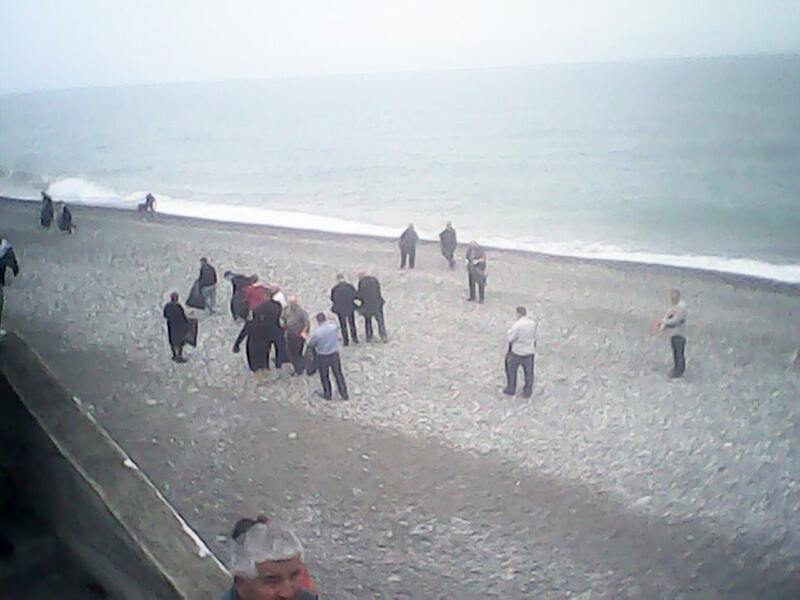 On June 5, the World Evironment Day, under the “Clean up Georgia" campaign, Adjara regional coordinator of Greens Movement of Georgia / Friends of the Earth Georgia, together with Adjara Environment Protection Department initiated and organized " a clean up action,. 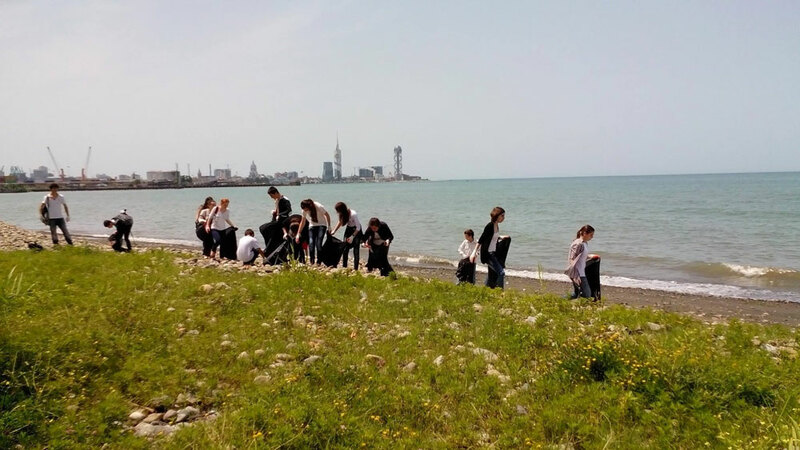 Along with organizers Batumi N17 and N18 public schools students and representatives of administrative body of Batumi Tamari settlement participated in the action. 20 pupils took part in the action. On June 5, the the Regional Coordinator of Greens Movement of Georgia/ Friends of the Earth – Georgia under the "Clean-up Georgia" campaign organized a clean up action in Tchiatura. During the action, surrounding areas of kindergartens and territorial bodies were cleaned up in 15 villages. Consequently, about 7-ha of land has been cleaned up, with active involvement of representatives of local population. Around 400 people took part in the action. June 5, on the occasion of World Environment Day, under the framework of the project "Clean Up Georgia" a clean up action was performed in town Khoni The event was organized by the regional coordinator of Greens movement of Georgia/Friends of the Earth – Georgia. On June 4, 2014, in the framework of the project "Clean Up Georgia – Raising of Public Awareness and Involvement in Solid Waste Management Improvement" (Phase II), Georgian Society of Nature Explorers "Orchis" arranged a Meeting in Kazbegi Municipality with the participation of the representatives of Kazbegi Municipality Sakrebulo and Gamgeoba, Local Authorities, LTDs, LEPLs and others. 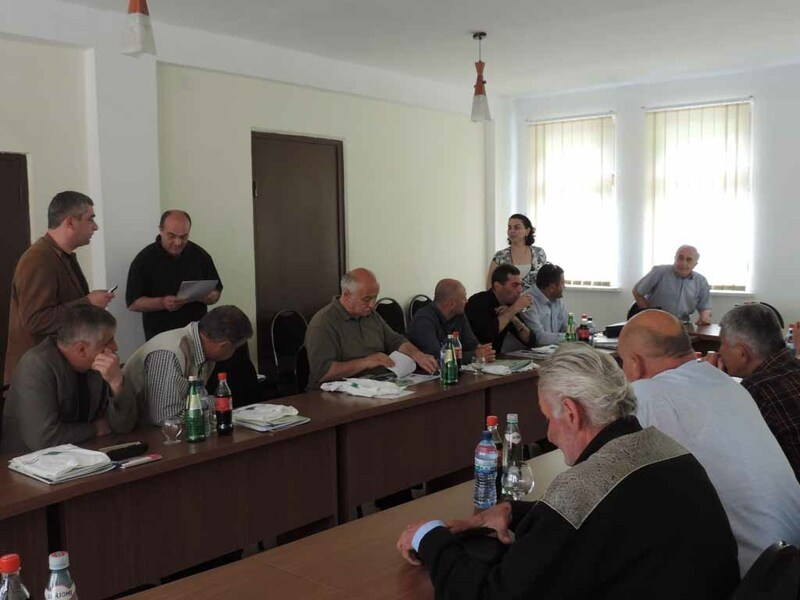 On June 3, 2014, in the framework of the project “Clean Up Georgia – Raising of Public Awareness and Involvement in Solid Waste Management Improvement ” (Phase II), Georgian Society of Nature Explorers “Orchis” arranged the Meetings in Sachkhere and Chiatura Municipalities with the participation of the representatives of above mentioned Municipalities Sakrebulo and Gamgeoba, Local Authorities, LTDs, NGOs, mass media and others. 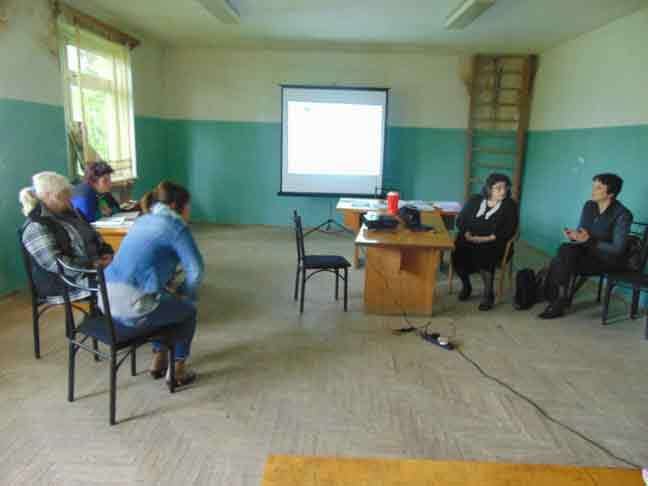 On May 22, 2014, in the framework of the project “Clean Up Georgia – Raising of Public Awareness and Involvement in Solid Waste Management Improvement” (Phase II), Greens movement of Georgia/ Friends of the Earth Georgia held a meeting in village Jebota of Tianeti Municipality with participation of the representatives of local population. An information package on waste management related issues has been distributed among the participants. The aim of the meeting was to address priority issues with regards of waste management in rural areas. Participants received information about the global waste management practices, as well as waste management practices in Georgia. The meeting was attended by the representatives of the office of village trustee. Number of participants – 5 local residents. 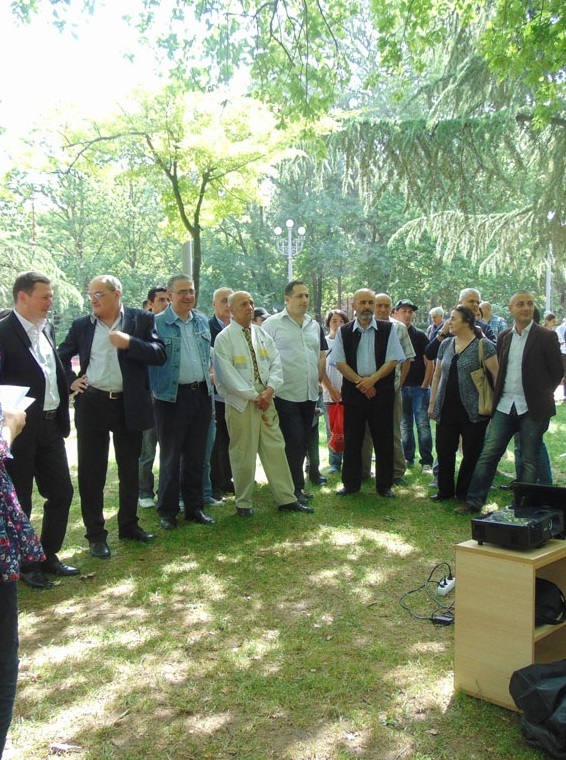 On May 22, 2014, in the framework of the project “Clean Up Georgia – Raising of Public Awareness and Involvement in Solid Waste Management Improvement” (Phase II), Greens movement of Georgia/ Friends of the Earth Georgia held a meeting with local residents of villages Akhalsopeli and Chabana of Tianeti Municipality. An information package on waste management related issues has been distributed among the participants. The aim of the meeting was to address priority issues with regards of waste management in rural areas. Participants received information about the global waste management practices, as well as waste management practices in Georgia. The meeting was also attended by the of Governor’s office representatives. Number of participants – 15 local residents. Clean Up action was held in village Sartichala, on May 19, 2014, in the framework of ‘Clean Up Georgia’ campaign, organized by NGO ‘EcoVision.’ 5th graders of village Sartichala N1 public school participated in the clean up action. They cleaned up nearby territory of ‘Public Center,’ located in the village centre and collected 40 bags of different kinds of waste. By the end of the event, handbooks ‘Energy Saving’ and ‘We and Energy,’ also verses and story for kids by young poet and artist Ketevan Kaladze were distributed among the participants. The mentioned editions were developed and published by ECOVISION – The Union for Sustainable Development. ‘EcoVision’ would like to thank village Sartichala N1 public school director, Mrs. Irina Maisuradze, 5th graders and tutor Mrs. Elene Samnashvili for participation in clean up action. 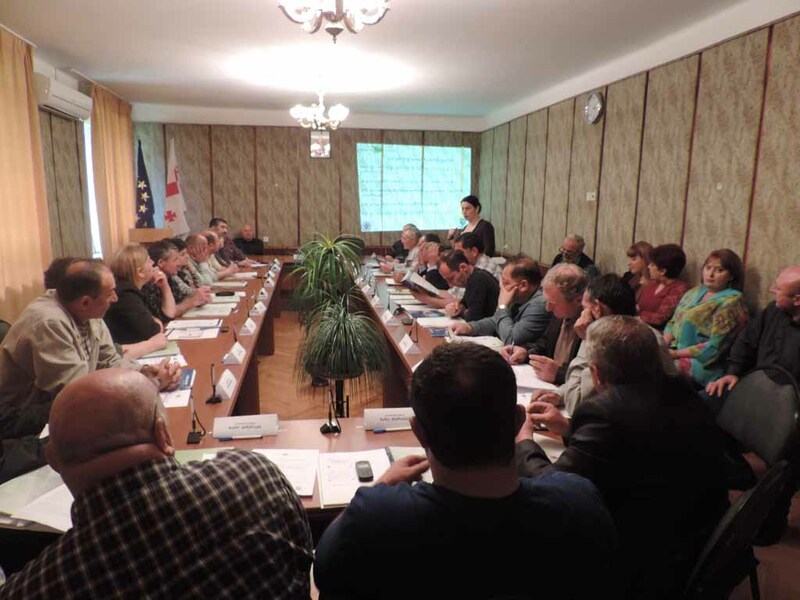 On May 16, 2014, in the framework of the project “Clean Up Georgia – Raising of Public Awareness and Involvement in Solid Waste Management Improvement” (Phase II), was arranged the meeting with the teachers of Marneuli Municipality schools by ECOVISION – The Union for Sustainable Development. The aim of the meeting was to raise public awareness of teachers in the field of solid domestic waste management. On May 13, 2014, in the framework of the project “Clean Up Georgia – Raising of Public Awareness and Involvement in Solid Waste Management Improvement” (Phase II), was arranged the meeting with the teachers of Kharagauli Municipality schools by ECOVISION – The Union for Sustainable Development. The aim of the meeting was to raise public awareness of teachers in the field of solid domestic waste management. The teachers were provided with comprehensive information about the latest technologies and best practices of sustainable waste management. There was also a discussion on issues related to waste problems in schools. On May 5-7, 2014, in the framework of the project “Clean Up Georgia – Raising of Public Awareness and Involvement in Solid Waste Management Improvement ” (Phase II), Georgian Society of Nature Explorers “Orchis” arranged the Meetings in Khoni, Samtredia, Vani, Baghdati, Tkibuli and Terjola Municipalities with the participation of the representatives of above mentioned Municipalities Sakrebulo and Gamgeoba, Local Authorities, LTDs, NGOs, mass media and others. 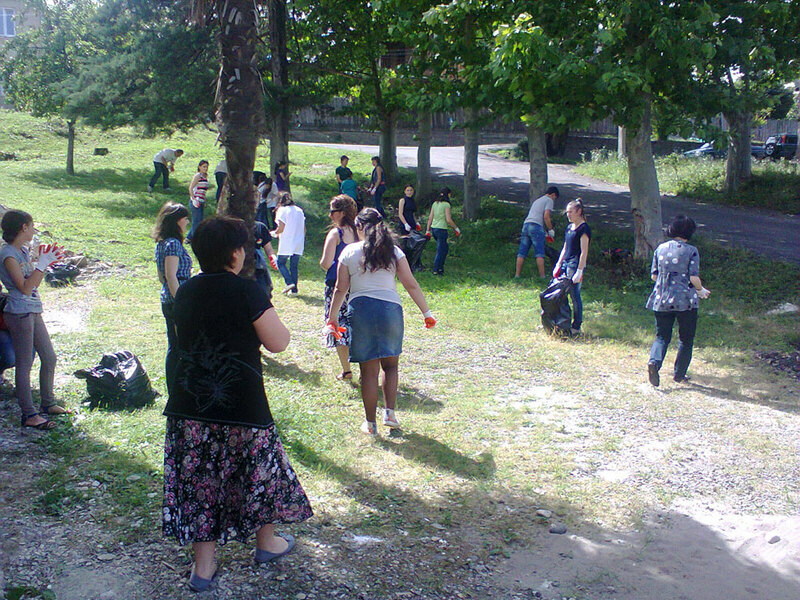 On May 6, 2014. with support of the regional coordinator of Greens movement of Georgia/ Friends of the Earth –Georgia and by organization of Kobuleti municipality workers clean up action was performed in Kobuleti municipality.